It’s not often that I chose to spend time, and therefore write about, a chain hotel. I figure if you are looking for a Sheraton, Marriott or such, you will know exactly where to find them. However, I was intrigued by the new concept from Hyatt where the lines between hotel and apartment are blurred. 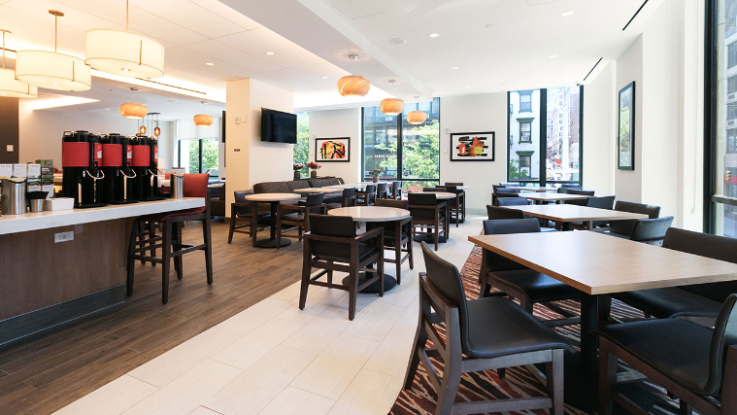 Hyatt House is Hyatt’s first foray into the extended stay market in New York City. The hotel opened in spring with 150 rooms of varying sizes and configurations. The appeal is wide ranging, from business travelers to families who want more than a bed and bath. 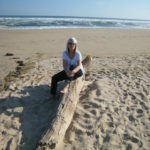 There are connecting rooms, suites with full kitchens and washer/dryers, smaller suites with kitchenettes and, of course, conventional hotel accommodations. Included in every night’s stay is a full hot breakfast; quite a nice perk in a city where eggs over easy with bacon, toast and coffee can cost upward of $12 (or twice that). Multiply that for a family of four each day and you have quite a deal. Another perk, not to be under appreciated, is location. And it’s all about location, right? The hotel is located in the Chelsea neighborhood on the same street as the wholesale and retail flower markets. Take a stroll and inhale the intoxicating aromas of the exotic, and not so exotic, plants and blooms. 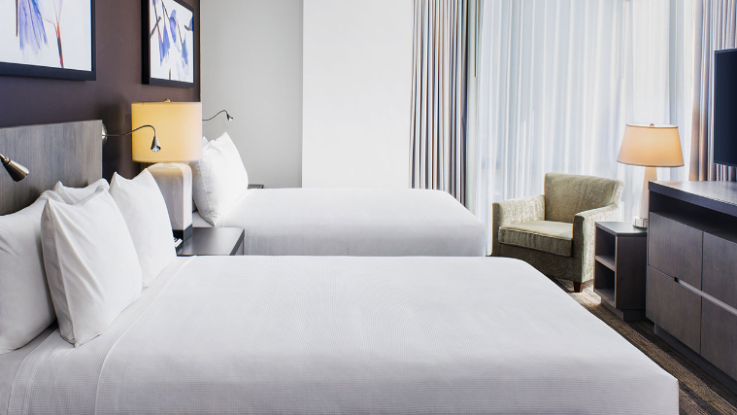 In addition to stopping to smell the roses, Hyatt House is mere giant steps from the Empire State Building, Macy’s, Madison Square Garden, Penn Station and just about every subway line ready to whisk you uptown and downtown. All of this makes Hyatt House a wonderful place to hang your hat, either overnight or for a long stay. I just wish…. I just wish the hotel wasn’t so dull. The décor is shades of brown and beige. My View Den Room had dreary brown walls, brown furniture, a beige chair, no throw and no decorative pillows to liven things up. The tiny room was fully loaded with free (and fast) Wi-Fi, microwave and mini frig and it was exceedingly quiet. The floor to ceiling windows had a lovely view and let in lots of light. The only concession to location (and to color) was a large photo of flowers hanging over the bed. Flower district, get it? The bathroom was a nice size, with walk-in shower and a shelf for toiletries. But there were none of the usual amenities, save for shampoo and conditioner, that we have come to expect in an upscale hotel. No shower gel, mouth rinse or even a cup. Perhaps this was just a housekeeping error. All in all, this is a perfectly fine hotel. The location and free breakfast make up for a lack of charm and coziness. But if that’s okay with you and the convenience of an in-suite kitchen makes it worthwhile, then by all means check in. The staff is welcoming, knowledgeable and ready to fulfill your needs.